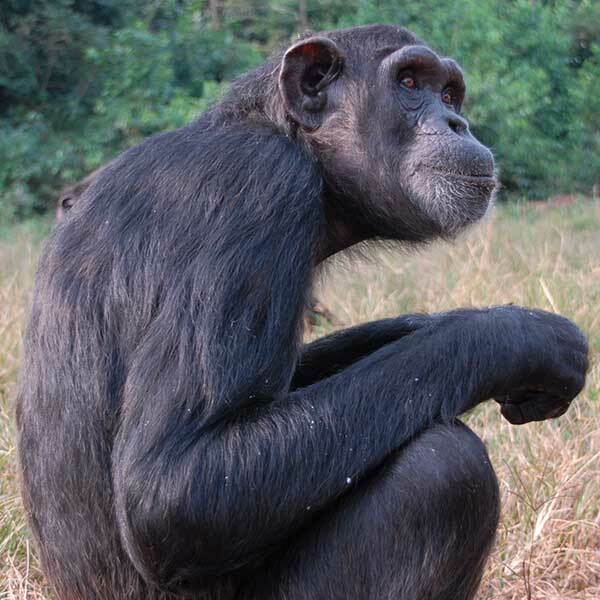 My name is Sunday and I arrived at Ngamba in 1998. I am easy to spot because I am very tall and long-limbed. I also traveled the world with Maisko and Megan as part of a Russian circus before my rescue. I love the water and earned the nickname ‘The Boat Captain’ after trying to ‘steal’ a boat and row away!